With a name like Beach Buggy Racing, it’s not hard to figure why most people probably have never heard of this game. 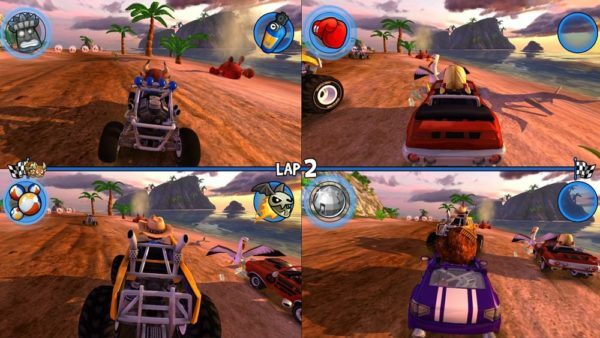 However, if you’re looking for a pure, unsullied, kart-racing experience on the Xbox One that sticks as closely to Mario Kart, without having to dip into backwards compatibility, Beach Buggy Racing is your type of game. While it’s no Mario Kart, it’s still a very serviceable kart-racer that will check all the genre boxes if you’re looking for something to scratch that itch. There’s lots of power-ups, customizable cars, kart-racer style controls, and split-screen so you can play with friends that you have over.